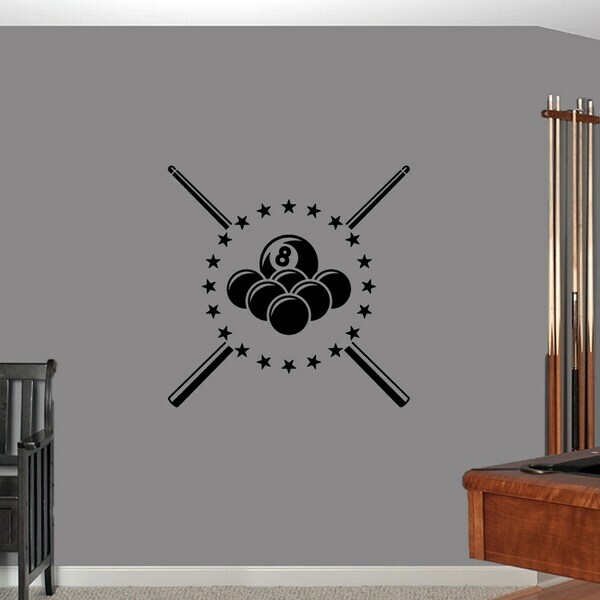 Available in a wide variety of colors to best match your color scheme, this Pool Billiard Wall Decal from Sweetums Signatures is the perfect thing to easily decorate any room. Easy to put on and remove, this vinyl wall decal simply goes on with the included tools. This sports vinyl decal is just what you've been looking for. Nice & beatuful wall decal.